Search Engine Optimization SEO is the backbone of any business. It generates more sales and customers. It helps people find your product and services easily on the internet and place orders. 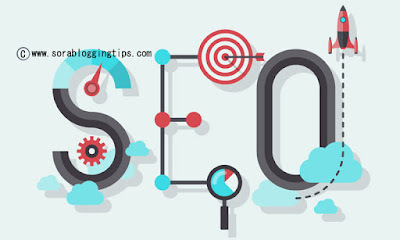 Though SEO is a time taken exercise, but once you get the desired result, everything will start to work in your favor. The importance of SEO is equal for internet marketer, blogger or a free lancer. With the help of on page and off page SEO, you can rank top in the Google search results. Please keep in mind that SEO is not a systematic way of doing things. Instead, it is a way of trying various tips and tricks to maximize the effect of white hat SEO. Though, there are so many metrics to consider while try to gain maximum results from a search engine optimization exercise. But, in today’s article, we will be discussing image optimization for SEO specifically here. Bloggers use various types of images in their articles every day, but they ignore the importance of image optimization for SEO while inserting them in their post or article. Not just, it improves the overall ranking of your article in Google search results, but if images are properly optimized, they can bring a significant amount of traffic from Google Images Search results. You should be aware of the fact that a majority of people use Google images to search their popular images. Enhance the bounce rate of your blog or website. Bounce rate plays a key role in building the reputation of the blog in the eyes of search engines. The lower is the bounce rate, the higher authority the blog will have in Google. Popular image sharing websites such as Pinterest can deliver the huge amount of traffic if images on your blog are properly optimized. If you create your own images and someone uses it, then he will give it a link back to you. This will improve your external link profile and the SERP as well. Properly optimized images can bring your site or blog quickly in Google images top result, which is another source of free traffic. Almost all bloggers use images in their write-ups, but I have seen bloggers doing this mistake quite frequently that they use Google images search to find the images to be used in their articles. This is the biggest mistake because majority of images are copy right protected and if you use them without proper approval on your blog, your blog may be penalized in several ways. Either, the web hosting company has to block your hosting account or Google may penalize you by degrading your SERP. Today, I will share with you a secret trick through which you can use images from Google images without any fear of copy right issues. For this, you need to search for your keyword in Google search images. After that, click on Search Tools link. After that, it will show plenty of options just beneath the search tool such as Size, Color, Type, Time, and Usage Right. Now click on Usage Right and choose Labeled for reuse. Once you click this option, you will only see images which the original author/ creators have given free right for anyone to use. This is the best thing which can save you from any mishap in the future. Apart from these, you can take images from stock images websites such as MorgueFile and FreeDigitalPhotos to make a decent look to your articles. Now, you have obtained the images for your article. Now, it is the time to add up to your article or post. Just place the images at places in your article where you want them to be. But keep in mind that before going to add and upload images to your server, it is the dire need to rename the image file name. The name of the image file should match the title of the article or post. This is the common mistake bloggers do as they upload the image file without synchronizing the name with the article topic. Another thing is that if your file name contains more than one word; connect them via using dashes so that it should be readable for the humans and for the search engines as well. Another thing which is important is that you keep the file size and the dimension in mind while uploading the image. If you insert a very large size image with big dimensions, your article or post will take significant amount of time to load, which increase the page load time. This is another important aspect and metric of SEO so keep the size of the image to a minimum size possible with smaller dimensions so that the speed of your website could be augmented. It is a good advice to use the image with dimension of 200x200 to see the maximum effect of a image optimization. Image Optimization for SEO – Image Size Matters! If for any reason, you have to insert a large size image, then you need to consider the content area in mind as well. I have seen bloggers insert a large size image in the content area which is quite small. So, visitors find it difficult to see it and finally, leave the page without any positive mind in few seconds. This causes a higher percentage of bounce rates. This ultimately affects the overall SERP (search engine ranking position). If you are using stock images, then these images are made in high resolution. So, definitely be very large in size. So, it is the time to take support from compression tools such as TinyPNG to compress your images so that when you insert these images, you page loads up quickly. The last and most important thing is that when you insert images into your article; always add ALT tag so that it could be maximized for SEO purposes. I have seen many bloggers that they totally ignore this point and keep adding pictures while taking advantage of this factor. I am hopeful that you have liked our today’s article Image Optimization for SEO. In the meantime, if you have any question, please feel free to ask the question using the comment section below.